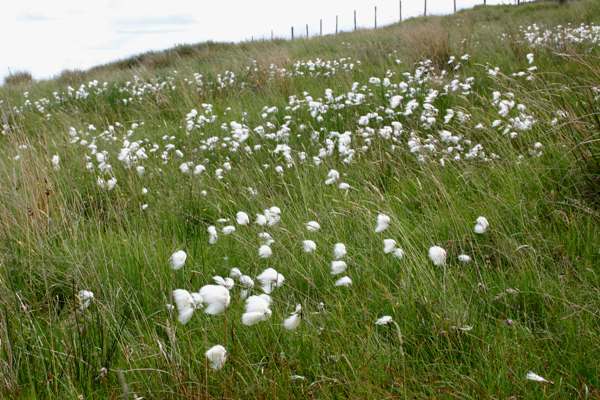 On marshy upland bogs you will see fluffy heads of bog cotton grass throughout the summer and autumn months. It is particularly plentiful in Snowdonia and on Cors Caron, the great red bog at Tregaron, in the upper reaches of the River Teifi. Another common name for this native perennial is Hare's-tail Cottongrass. The seed heads grow to typically 20 mm in diameter. The fluffy specimens shown here were photographed in mid Wales in August.